Personalised childrens age birthday card for either boys or girls, by Jenny Arnott Cards, for a special Son, Daughter, Grandson, Godson, Granddaughter, Niece or Nephew. 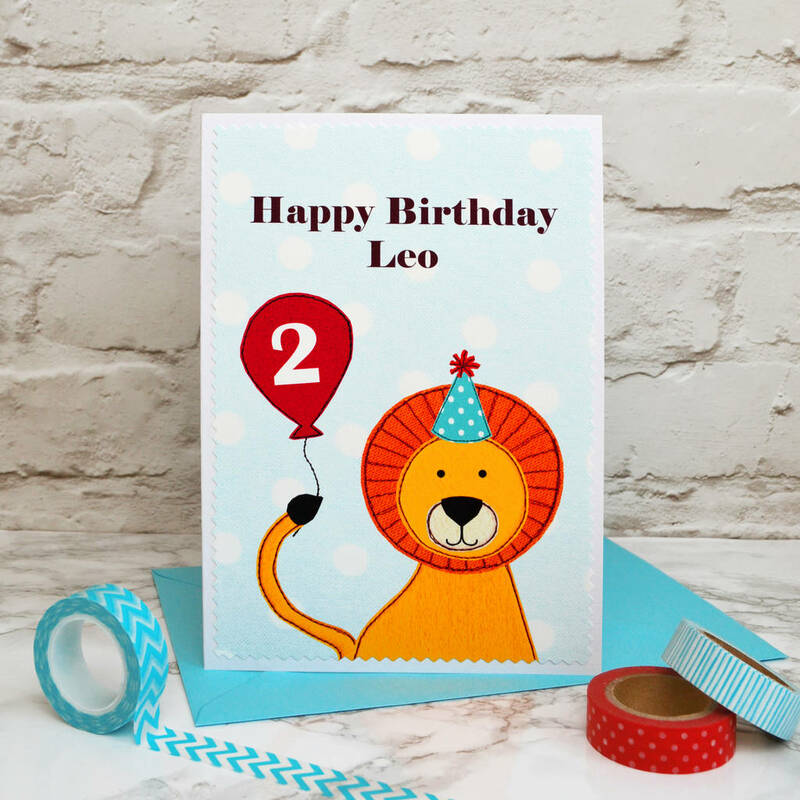 This lovely large A5 sized printed birthday card for boys or girls can be personalised on the front with the words 'Happy Birthday (child's name)' whilst the inside of the card is blank for you to write your own message. 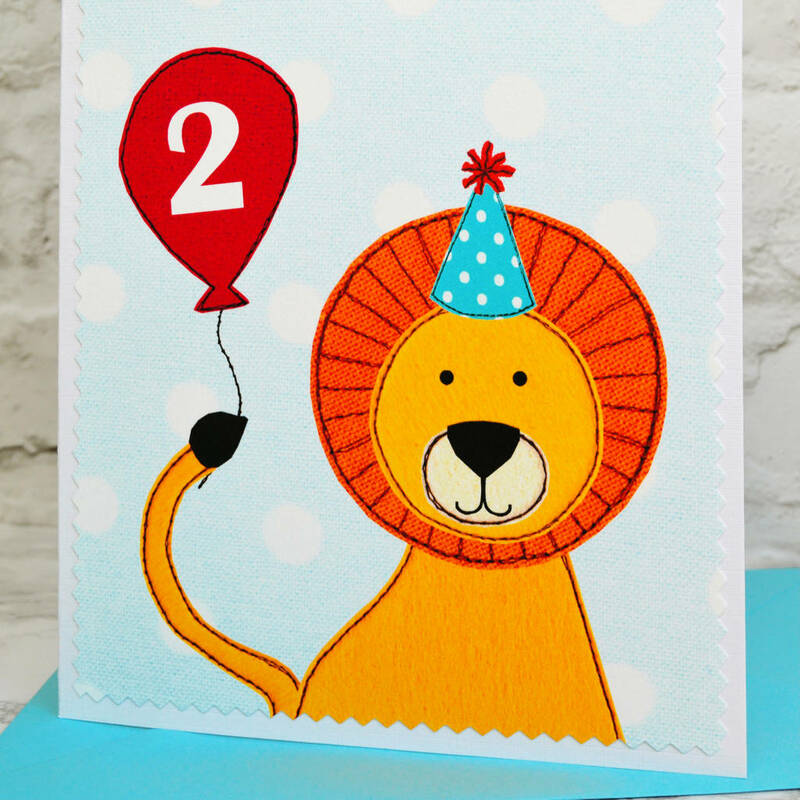 The child's age is printed in white inside the red balloon held by the lion's tail. This design is suitable for all children, whether a little girl or boy, but in particular would make a lovely baby's first birthday card. It would be perfect for a baby son, daughter, nephew, niece, grandson, granddaughter, godson or goddaughter. This cheerful lion design can be personalised for any birthday, including 1st, 2nd, 3rd, 4th, 5th, 6th, 7th, 8th, 9th, 10th (first, second, third, fourth, fifth, sixth, seventh, eigth, ninth, tenth) and beyond. You could even frame this personalised age card, turning it from a card into a birthday gift that can be kept for years to come. It would look lovely in a simple white frame, displayed in the nursery, bedroom or playroom. 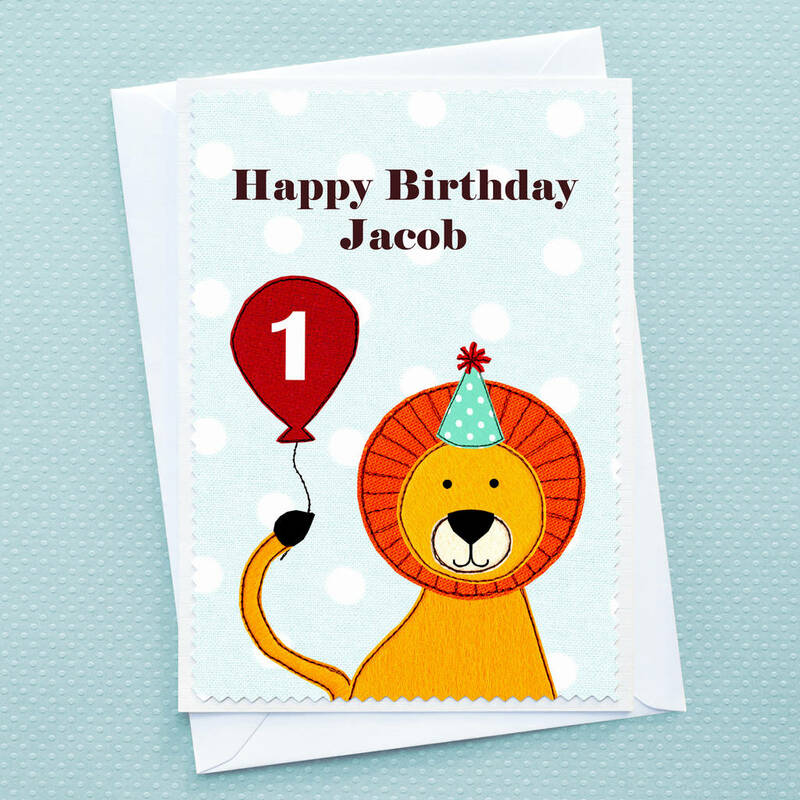 This lovely printed childrens birthday card is by Jenny Arnott Cards & Gifts. The print does retain some fabric textures which were used in the design, however the card is not actually fabric but is printed onto beautiful artisan paper, trimmed with a zig zag edging and attached to a 350gsm textured white card blank. The birthday card will fit into an A5 picture frame.